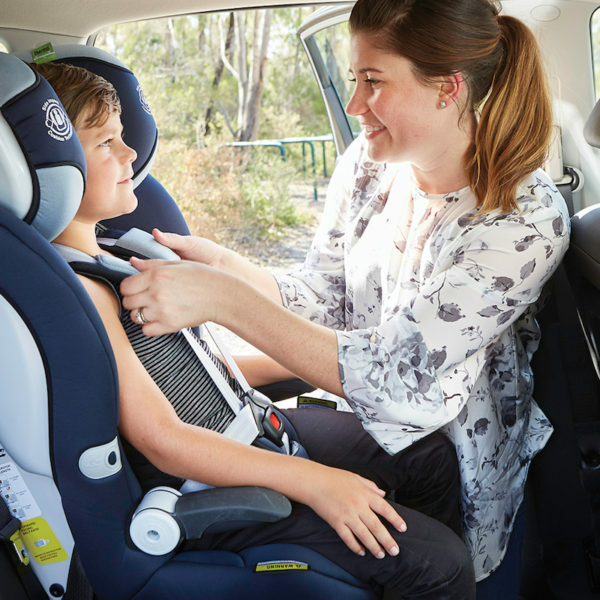 With a little bit of help from the safety experts at Britax, we’ve divided up the car seat market to give you the lowdown on the very best car restraint options for your precious little people, according to age and stage. Baby capsules are designed to cocoon your new little person and harness them for safe travels. 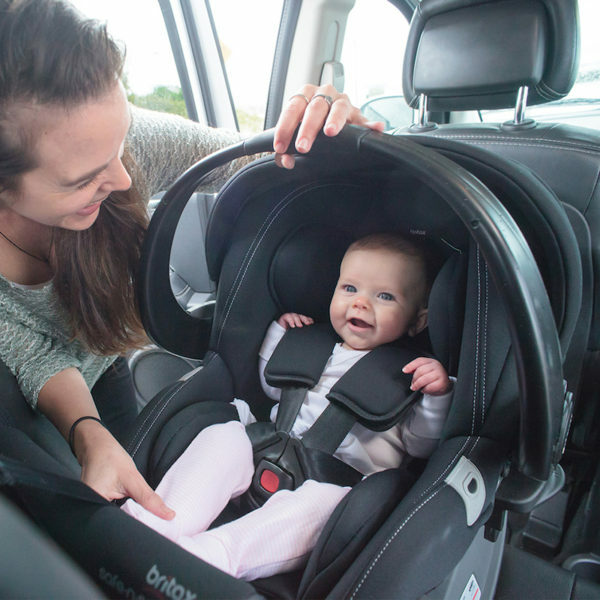 A high side-wall capsule like the Britax Unity ISOFIX is a perfect first restraint and is the only capsule in Australia suitable for low birth weight and premature infants without restrictive medical conditions. This comfy seat is rear facing for maximum safety and the capsule can be clicked in and out of the base to use as a carrier or slot into a compatible stroller base with minimal disturbance to bub. Convertible car seats are built to last and designed to grow as your baby grows. A convertible restraint like the Britax Safe-n-Sound Millenia is suitable from birth to approximately four years (in rear facing mode up to about 30 months), or 12 months to four years when forward facing. It’s recommended that children remain rear facing for as long as possible, but at the very least for the first 12 months of life. This car seat comes in four colours – Midnight Navy, Safari, Silhouette Black or Pebble Grey – and has state of the art Side Impact Cushion Technology (SICT) for optimal safety and security. The newest restraint in the Britax stable, the forward-facing Britax Maxi Guard PRO, keeps your child safely harnessed for longer. This high quality, long-lasting seat comes in three stylish colours – Midnight Navy, Kohl Black and Pebble Grey – and its high-tech Thermo5 fabric made with Bamboo Charcoal is durable and comfy too. Once your child is tall enough – their shoulders need to sit above the seat’s lower height marker – you can move them out of their car seat and into a booster. Booster seats allow you utilise your car’s own lap-sash seatbelt (or you can purchase an appropriate approved harness). 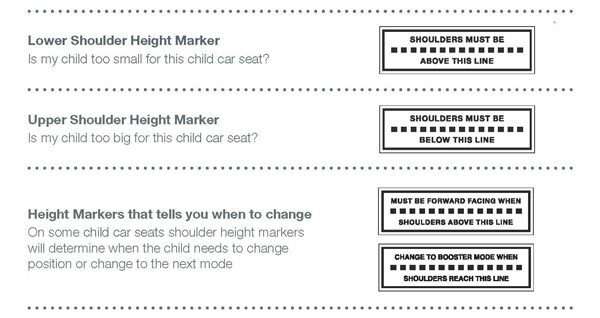 Shoulder height markers are located on the inner side of the seat and work to remind parents to adjust their child’s seat and harness as they grow to optimise safety at all times. Booster seats can be used from 4 to 10 years, depending on your child’s size, and allow your child to travel safely and comfortably, with improved visibility. Remember that all child restraints must be appropriately secured and fastened to ensure your kids travel safely and soundly. While many restraints have accompanying age recommendations, it’s important to note that their optimal safety is based on the height of your child. All Britax seats have height marker indicators on the inner side of the seat to ensure the restraint you are using is the correct fit for your child. By following these simple indicators, you know you’ll always have your child in the right seat with the correct restraint at every stage of his growth. 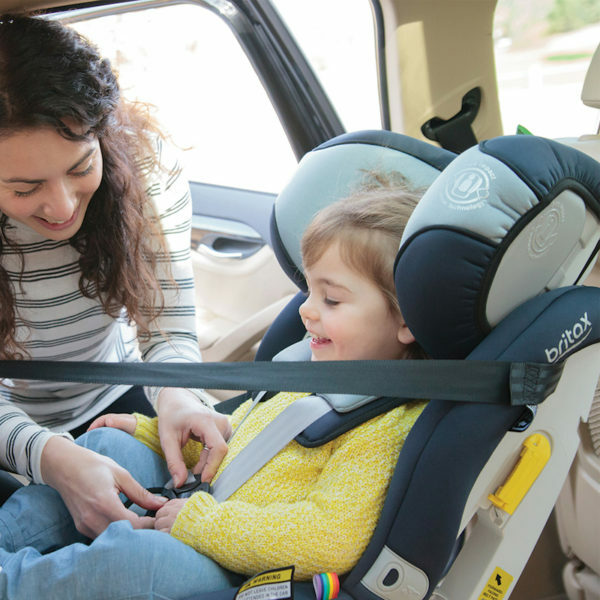 If you’re unsure about how to correctly fit your child to the appropriate car seat, head to Britax for expert safety advice.